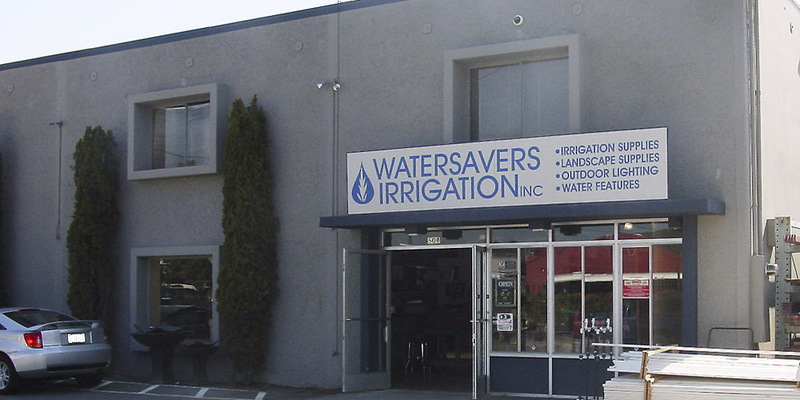 Watersavers Turf located at 508 Irwin Street, San Rafael, in Marin County, CA offers top-quality artificial grass for home and commercial use. At our San Rafael store, you can get all the goods and tools you need for a fake lawn installation. We also have six other locations across the SF Bay Area. Eco-smart folks know the value of a fake lawn. No watering and ease of care are just a few perks. Come visit us, and boost your landscape. Our store carries a range of artificial grass in San Rafael. Our expert staff can help you pick your ideal grass from our 40+ types, which run from luxury faux grass to tough sports turf. We can place an order for any turf item, and help you find the the right look and price point for your drought-friendly landscape design. It’s not just about the grass at our store. We have what you need for every step of the process to install artificial grass in San Rafael. We offer infills and pads for your new fake lawn, tools like the Easy Seam machine which you can rent or buy, and turf accessories from nails to golf flags. If you want to find a company to install your grass, we can match you with a qualified pro in the Marin area. If you’re a landscaper who’s ready to enter the turf market, we offer a free in-store course for contractors to learn how to use our products. Come talk with us about what you need. We’re open 6 days a week. If you can’t come visit the store, give us a call at (415) 454-6581. We’re proud that our water less lawns are part of Marin’s high quality of life. Watersavers has been committed to water conservation since 1988, but of course San Rafael has been around a lot longer than that. From Miwok land to Spanish Mission town to busy railroad hub, the city has a vivid past. It was once the village of Awani-wi, where the Coast Miwok tribe caught fish, made boats, and built houses from tule grass and redwood bark. In 1817, four Spanish Franciscan priests came to found Mission San Rafael Arcángel here. It was one of the last missions to be built in CA. At the time, Marin was part of the Alta California Mexican Province. The U.S. annexed the area in 1853 and the City of San Rafael as we know it has grown by the day ever since. In the 1880s, local train tracks made a link up to the national rail network. The rail stop here turned the town into a hub for trade and transit. It was a boom, with new jobs and lots of new homes. Walk the streets now, and you’ll still see buildings from this time and from many more eras. The area is known for its beautiful Victorians like the Falkirk Cultural Center. Some claim that the ghost of its first owner, Ella Nichols Park, still haunts the Falkirk! While you may not see a ghost, you will see traces all over town of how this small village came to be the city it is now. Today, this urban center with coastal views is full of life. The quick trip to SF plus easy access to Marin’s natural beauty via parks and hiking paths make it a great place for young families. The latest census has found that almost a third of the homes here include kids under the age of 18. That’s a lot of youngsters for a metro area! Kids need outdoor space to play, and so do adults. We are proud to offer safe, healthy faux grass that helps preserve the area’s natural resources. Marin is just one of the CA counties affected by the drought, and climate change has put everyone’s mind on water use. You can save approx. 55 gallons of water per square foot per year by switching from live sod to synthetic lawn. With water costs high due to the drought, no wonder yards in and around our Marin store are going green with faux sod! To join this smart trend, visit us at 508 Irwin Street in San Rafael, give us a call at (415) 454-6581, or stop by any one of our CA stores.